Caption slip reads: "Future use. Photographer: Snow. Date: 10-23. Reporter: Looman. Assignment: Gardena boy killed in Korea. Mrs. Ernest Hamilton weeping beside picture of her son Thomas. One shot with Tommy's dog, 'Rags'. 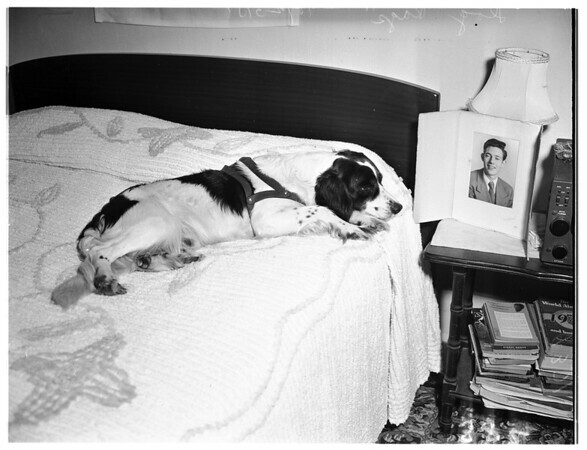 'Rags' lying on Tommy's bed looking at his picture. Copy -- Thomas Hamilton".